Actor Chazz Palminteri is getting into the restaurant business. His eponymous Italian-American eatery serves up dishes like lobster ravioli; bucatini alla carbonara; and salmone selvatico “'Palminteri,” wild grilled salmon in a plum-chili sauce. Chazz Palminteri Ristorante Italiano, 890 Second Ave., New York, NY 10017, 212-355-5540. Wolfgang Puck, who has an international collection of restaurants, is finally opening a place in New York City. The chef will debut a Big Apple outlet of his CUT steakhouse in downtown Manhattan. The opening is slated for July 2016. CUT, 99 Church St., New York, NY 10007, no phone. Tikka Indian Grill is a new eatery in the center of Williamsburg. Dishes such as chicken saag tikka, pumpkin kala chana and Chennai lamb are executed in a traditional yet elevated manner. Tikka Indian Grill, 185 Grand St., Brooklyn, NY 11211, 718-768-7675. Ocean Prime New York serves seafood in an elegant atmosphere. The menu includes raw bar selections, sushi rolls, a catch of the day and even Prime cuts of steak. 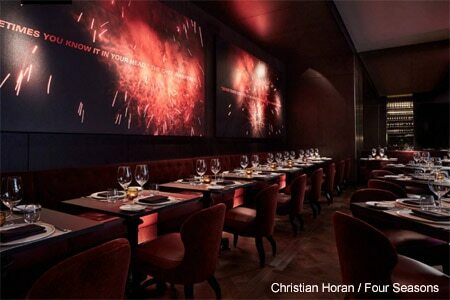 Ocean Prime, 123 W. 52nd St., New York, NY 10019, 212-956-1404. Tacombi, the taqueria that began in Playa del Carmen, Mexico, and expanded to New York City, has opened another location, this time in Greenwich Village. The restaurant serves up Yucatan-accented tacos, including a pork belly version, and a sweet and savory chicken soup. Tacombi, 255 Bleecker St., New York, NY 10014, 646-964-5984. The largest Chick-fil-A in the country is open on Sixth Avenue and W. 37th Street. The three-story location serves up the fried chicken sandwiches that have made it a well-known national chain with a loyal chicken-loving following. Chick-fil-A, 1000 Sixth Ave., New York, NY 10018, 212-704-9920. The team behind hit restaurant Estela, chef Ignacio Mattos and Thomas Carter, have announced they'll be opening a second establishment somewhere in SoHo early next year. The restaurant, called Café Altro Paradiso, will serve Italian comfort food. 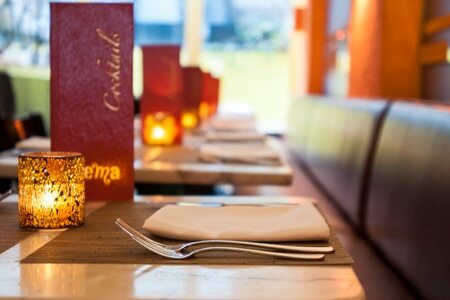 Estela, 47 E. Houston St., New York, NY 10012, 212-219-7693. Word is out that Philly chef Michael Solomonov (Zahav) has signed a lease on a space inside the Chelsea Market. There are few details (some have speculated it will be an outpost of his casual Dizengoff eatery), but New Yorkers are rejoicing that they perhaps need not make daytrips to Philadelphia anymore just to eat at one of Solomonov's restaurants. Hecho en Dumbo, the Mexican eatery on the Bowery, has a new menu for its Chef’s Table. Expect dishes like tuna brushed with pork fat, grilled lamb ribs with chilmole de cordero, and an elevated version of tortilla soup. Hecho en Dumbo, 345 Bowery, New York, NY 10003, 212-937-4245. Restaurateur Danny Meyer, who has always been ahead of the culinary curve, has announced he's eliminating tipping at 13 of his New York restaurants. Meyer said he'll raise menu prices instead, allowing him to then further compensate everyone who works in the restaurant, including in the back of the house. Restaurants affected include Gramercy Tavern, The Modern and Maialino, among others. The Gramercy Park location of Haru has begun serving Sunday brunch. Stop by between 11 a.m. and 3 p.m. for special rolls, such as the brunch roll (spicy salmon, egg and avocado topped with bacon bits) as well as pork belly buns and a couple of specialty cocktails. Haru, 220 Park Ave. S., New York, NY 10003, 646-428-0989. Ryan Bartlow, who cheffed at Frankies 457, has been named top toque at the yet-to-open Quality Eats, located in the old Whitehall space in the West Village. The restaurant is slated to open by the end of the year. Quality Eats, 19 Greenwich Ave., New York, NY 10014, 212-337-9988. Jean-Georges Vongerichten has named the chef for his vegetarian restaurant: Neal Harden, who has worked at Pure Food & Wine and Maimonide of Brooklyn. The restaurant is scheduled to open in the first few months of 2016. Otto Enoteca Pizzeria has lost its pastry chef. Meredith Kurtzman has moved on from the Mario Batali restaurant in Greenwich Village. There's no word yet on her replacement. Otto Enoteca Pizzeria, 1 Fifth Ave., New York, NY 10003, 212-995-9559. Due to a rent increase, Chelsea’s Crema Restaurante will be forced to turn off its burners forever. The Mexican restaurant will stay open through the new year, and will close permanently on January 3. Crema Restaurante, 111 W. 17th St., New York, NY 10011, no phone. Ruby Foo's Dim Sum & Sushi Palace, the big box pan-Asian restaurant on Times Square, has shut down permanently. Ruby Foo's Dim Sum & Sushi Palace, 1626 Broadway, New York, NY 10019, no phone.